It has been a while since my last post – it’s amazing how life runs away with you, isn’t it? I felt compelled to write again because my experience with bridal couples in the last few weeks has restored some faith in both the wedding industry and in the economy, as well as the determination and imagination of the brides & grooms. Many couples I have spoken to have been overly consumed with obtaining the cheapest of cheap, bargain basement prices on everything. 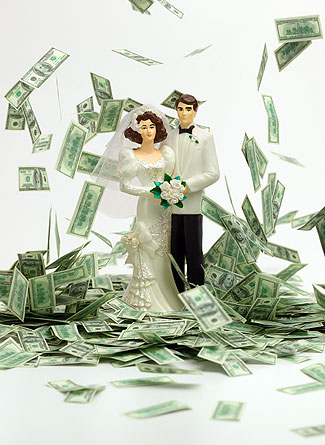 It’s funny to hear how a couple has an extremely tight budget, but is insisting on a massive wedding for 350+ guests. There are venues and packages available out there that are offering cheap rates – I say cheap becuase that’s what they are, for the most part. People must realise that a discount price will often mean that the venue/supplier/caterer is compromising on quality. Food stands out as the most important element for many couples, and yet it doesn’t occur that a cheap menu price probably means cheaper, sub-standard ingedients. Similarly with the likes of photography – be careful to check out the background and experience of any photographer who is offering you a cheaper package than the going rate, as it may mean you are not getting high quality prints, an album, or retouching. It may mean he/she has cheaper equipment – and if you want the memories to last forever, do you want to take that chance? Recently though I have seen a glimmer of light. Couples are looking to spend again, and they’re looking for high quality. There are many areas you can ‘save’ but you should decide what the most important elements of your wedding are – when you know what these are, do not compromise on quality!